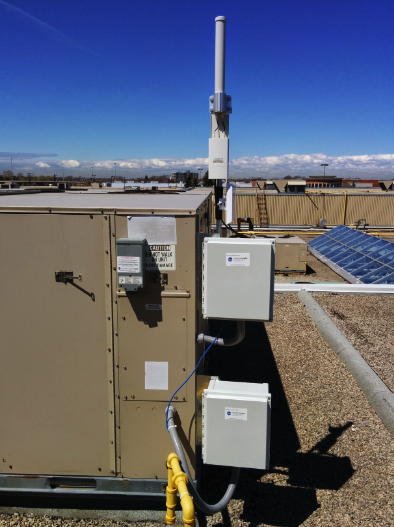 First Capital Realty has transformed many standard rooftop HVAC units into smart technology achieving big savings with low upfront costs. Using variable frequency drives and advanced economizer controls, the CATALYST reduces equipment use when less than the maximum number of people occupy the space – in this case, netting annual savings over $10,000 and achieving a 2.2 year payback. The company installed the CATALYST on four 25-ton packaged RTUs that serve the common corridors at Fairview Mall in St Catharines. By upgrading the controls of the 20+ year-old equipment, the controller uses CO2 and air temperature sensors to allow an older generation of equipment to perform with the intelligence of contemporary, high-efficiency models – reducing fuel costs while avoiding the capital investment of completely replacing the equipment! Research shows that over 43% of existing RTU economizers are currently broken, which means a facility could potentially be wasting thousands of dollars annually without even realizing. By providing equipment monitoring capabilities, the CATALYST controller offers a way to improve operational efficiency while providing significant long-term energy savings and a quick payback period. First Capital Realty is one of Canada’s largest owners, developers and managers of grocery anchored, retail-focused urban properties totaling over 25 million square feet. This project was one of many that contributed to the Company achieving a 5% reduction in GHG emission in a weather-corrected, like-to-like portfolio by 2015. See First Capital’s 2015 Corporate Responsibility and Sustainability Report to see how they not only achieved but surpassed this goal.